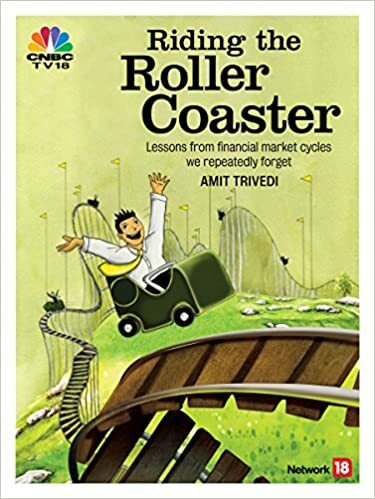 “Riding The Roller Coaster – Lessons from financial market cycles we repeatedly forget” – the title of my maiden book. Someone remarked about the title stating that while roller coaster takes you to the same place once the ride is over, the markets may take you to higher levels. I do not disagree nor do I have an argument against this line of thinking. However, read the subtle message of the book and you would realize that we are referring to two roller coasters – one in the financial markets and the other inside all of us – the emotional roller coaster. So what really do we mean by the roller coaster? The roller coaster is at two places – one in the markets and the other in the mind. While the above discussion may be correct about the market that it may not come back to the same place, the mind comes back to the same place often. We forget the lessons learnt and repeat the mistakes all over again. The mind often is more volatile than the financial markets. Our reaction to the happenings in the market leads to behavior that may not be in our right interest. The book is not about doing away with the roller coaster in the market (which refers to the bumpy ride), but to understand the roller coaster that is present in our mind.